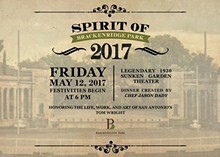 The Brackenridge Park Conservancy presents the Spirit of Brackenridge Park 2017 at the legendary 1930 Sunken Garden Theater. 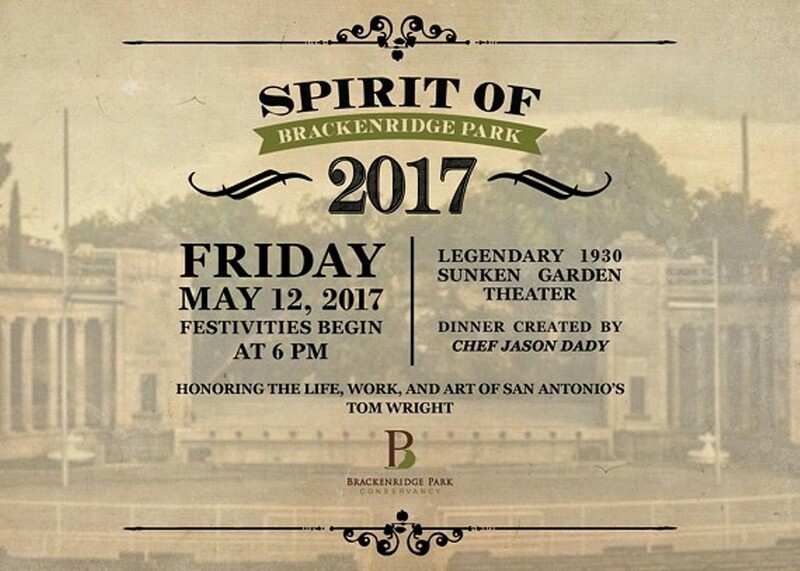 The event features dinner created by Chef Jason Dady and honors the life, work and art of San Antonio's Tom Wright! Special train tour, including hors d'oeuvres & cocktails, before seated dinner on the Sunken Garden Theater stage and live music by the San Antonio Brass Band!